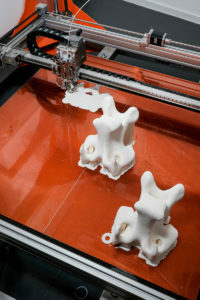 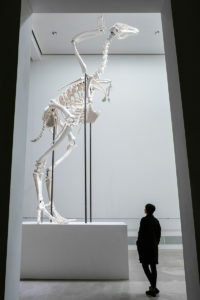 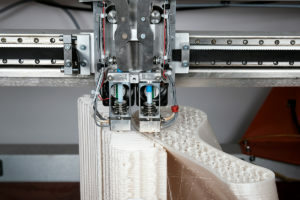 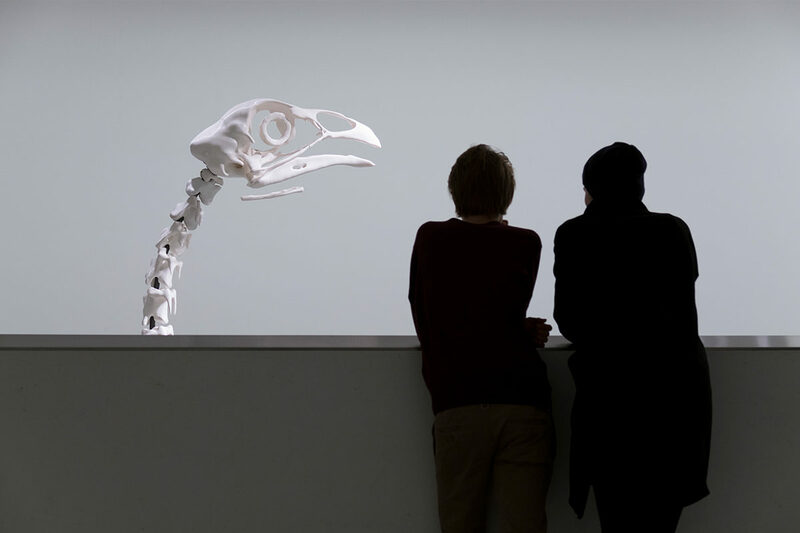 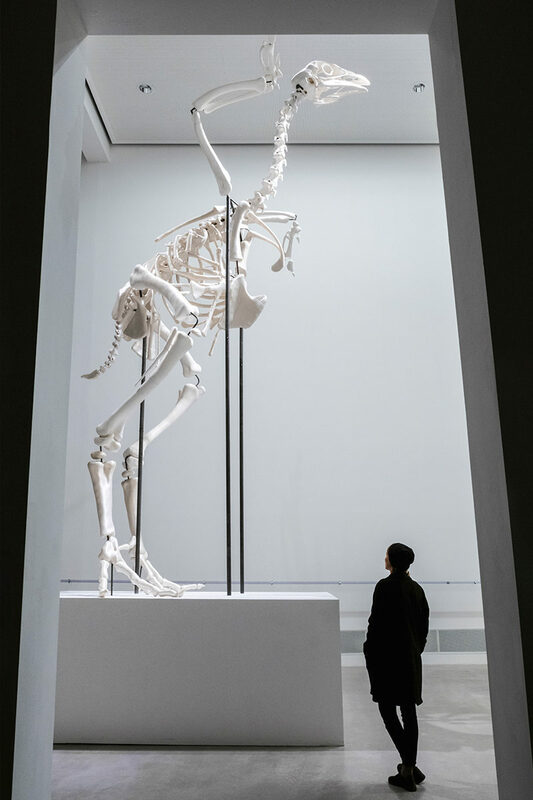 Created on occasion of the exhibition “Agency of the Exponent” at Berlinische Galerie this monumental sculpture resembles a dinosaur in a natural history museum; only this animal, a common broiler chicken of the type ROSS 308, is not extinct like its prehistoric ancestor, the Archaeopteryx. 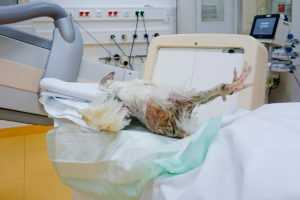 Today they are bred in staggering numbers with an anatomy manipulated to serve human meat consumption. 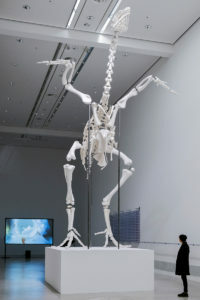 “Monument for the 308″ acknowledges the reciprocal dependency between this animal and humans.